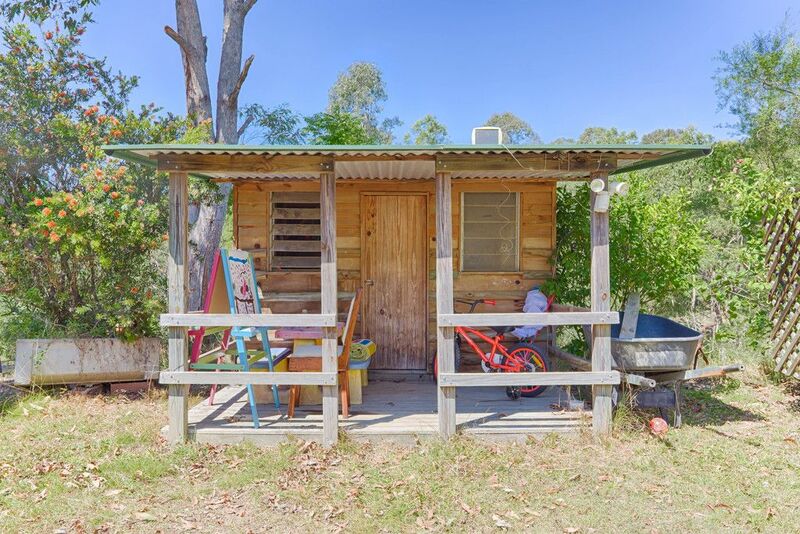 This tidy 3 bedroom, 1 bathroom, low set Home with a recently renovated Kitchen, Bathroom, and Laundry, is now ready for a new owner looking for a lifestyle fitting of the beautiful Hinterland. 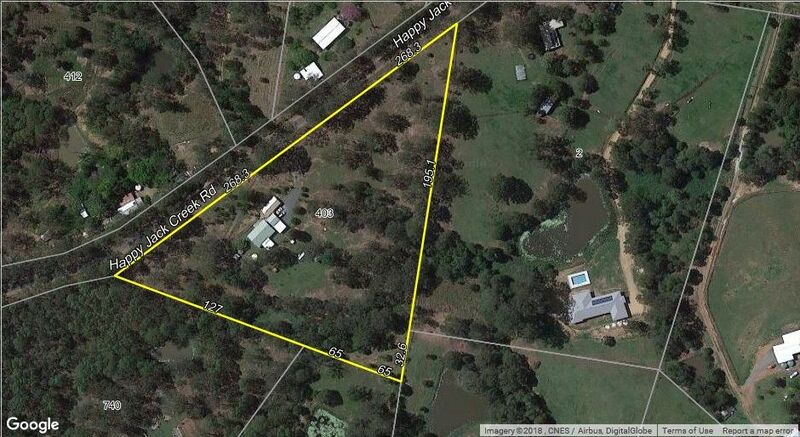 Whether you are a First Home Buyer, Hobby Farmer, Retiree, Horse inclined, or even a Family looking for that much needed space, this will be perfect for your all needs. 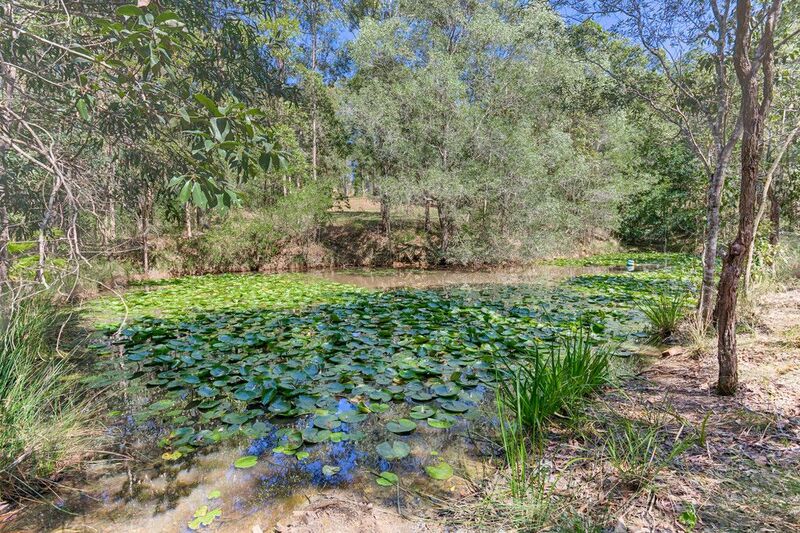 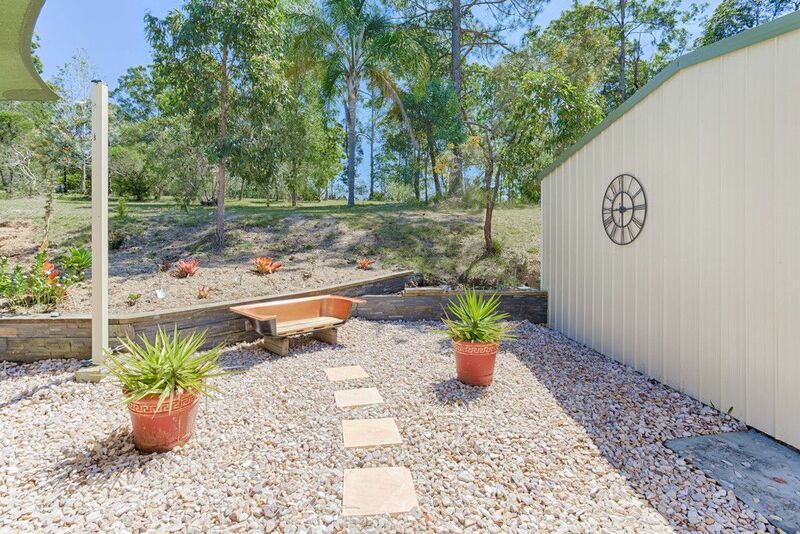 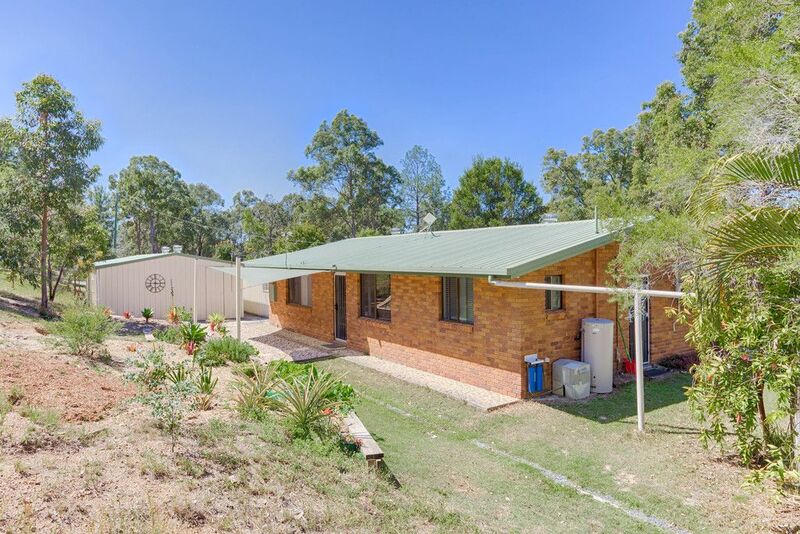 This beautiful Home is situated on the high side of a gently sloping 5.25 acre block, positioned perfectly to grace the home with lovely views over the grounds and large dam from the impeccably maintained 6x6m Timber deck. 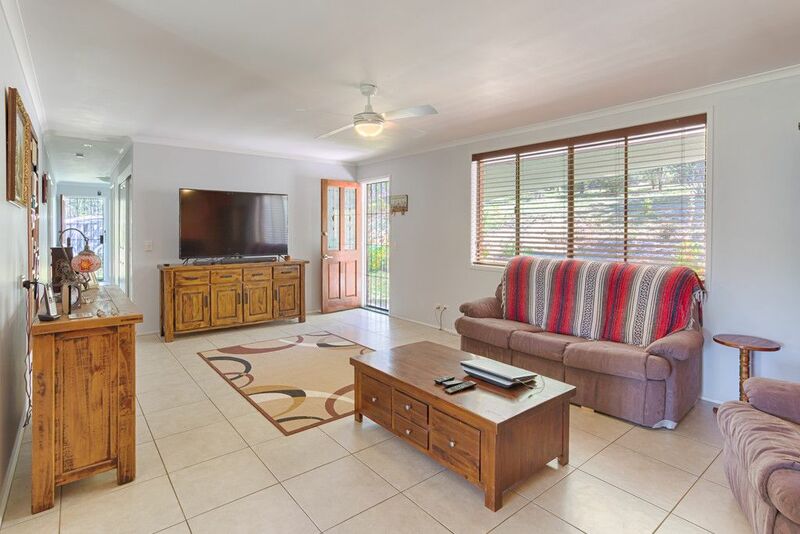 Light, bright and modern, this well-loved home has been designed and renovated with the ease of care firmly in mind including tiled flooring throughout. 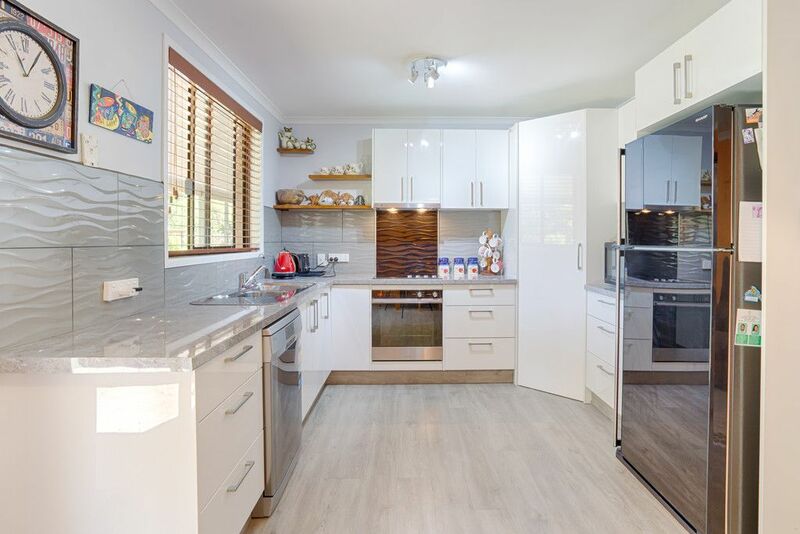 The full kitchen renovation includes laminate flooring, gloss finishes, updated appliances and water filtration. 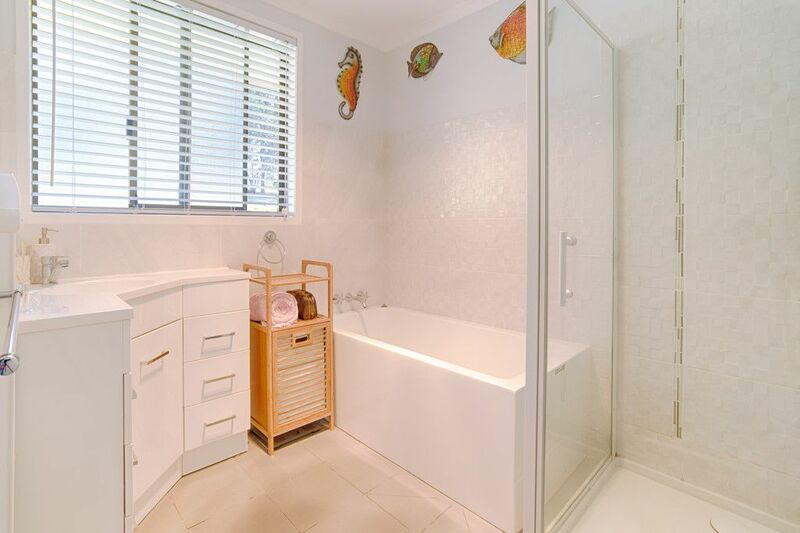 Also newly renovated, the well-appointed bathroom adds to the homes modern appeal. 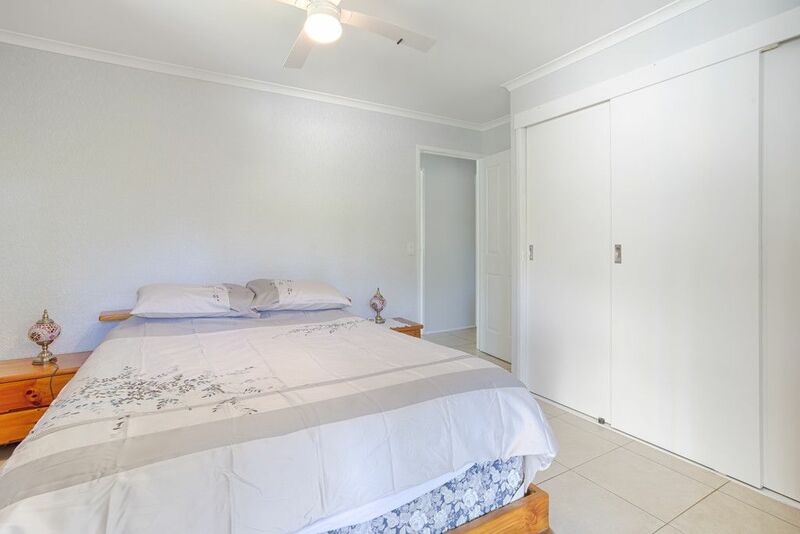 All the bedrooms are a generous size, with ceiling fans and built in wardrobes and plenty of additional cupboard space aids all your domestic storage needs. 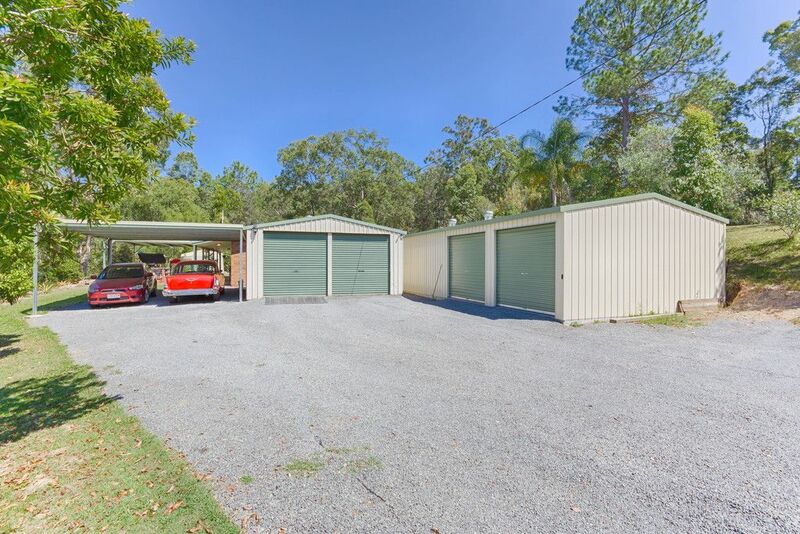 Adding to the value of this already impressive home are the numerous sheds including a 12x6m with 2 Elec Roller doors with workspace, 6x6m- 2 Door Garage, 6x3m open Machinery shed 6x6m Carport, 2 x 3x3m Garden Sheds. 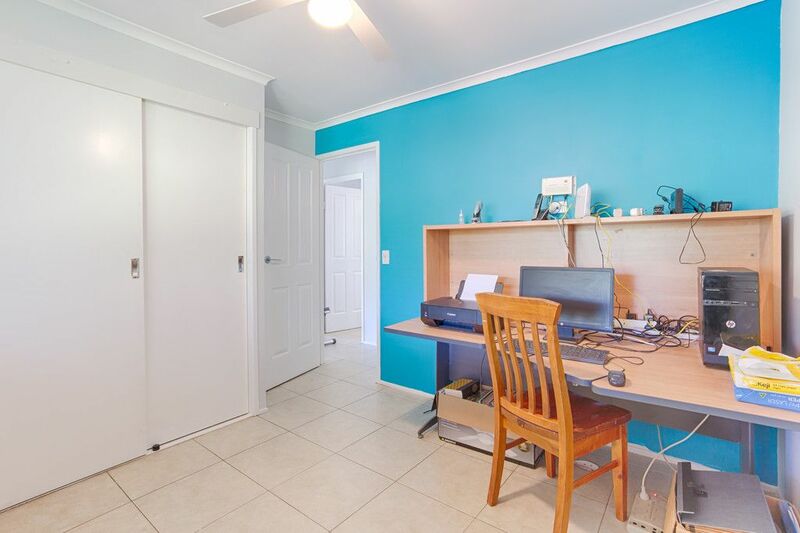 More than enough room for that essential equipment, caravan, home business, or the ever important tinkering! 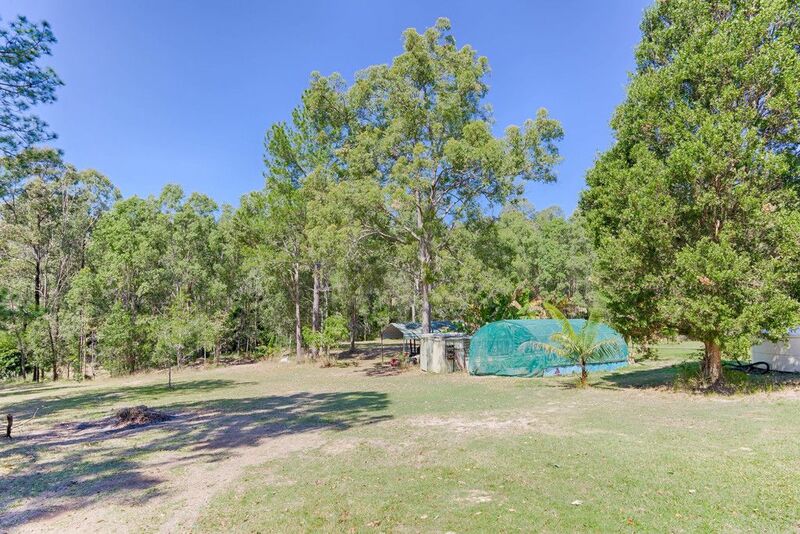 The 5.25 acre block is fenced on 3 sides with several fruit trees, approximately 65000lt tanks, large 5x5m undercover shaded garden area, a shaded dam, and a gravelled drive with paved road frontage keeping your car as clean as can be in the hinterland! 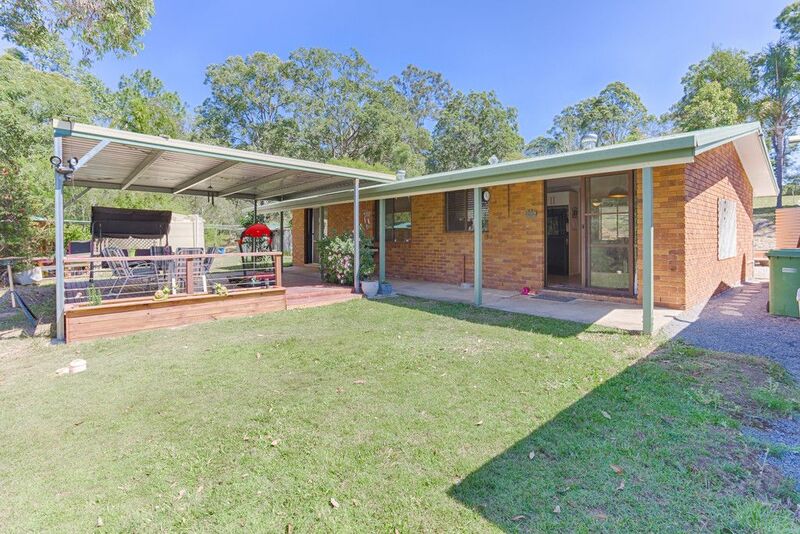 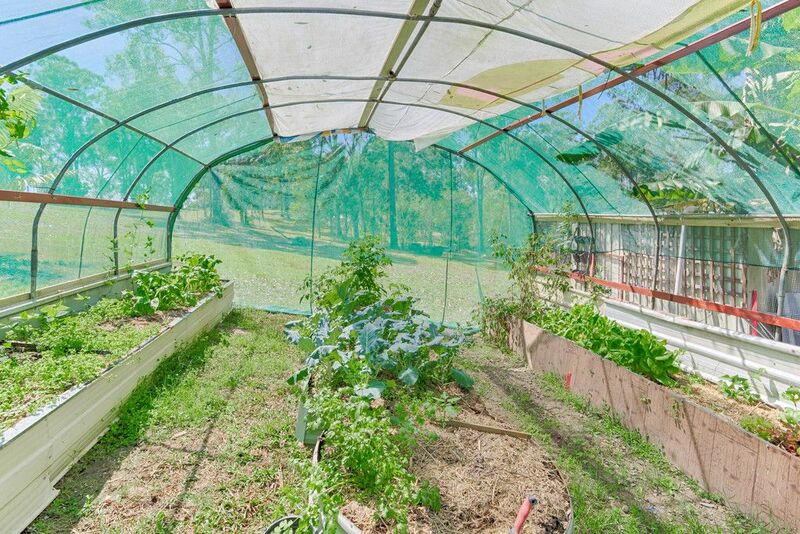 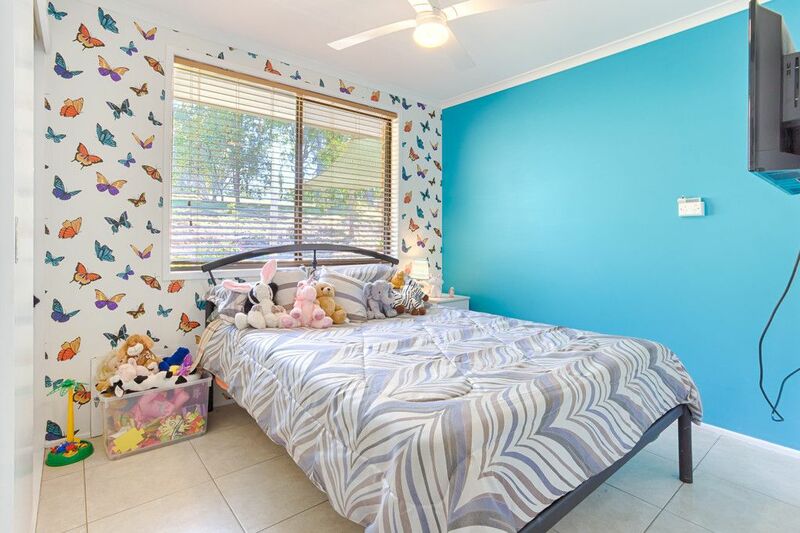 15 mins from Cooroy and the Highway, with the school bus at your door, this Home is perfectly situated for being private yet convenient! 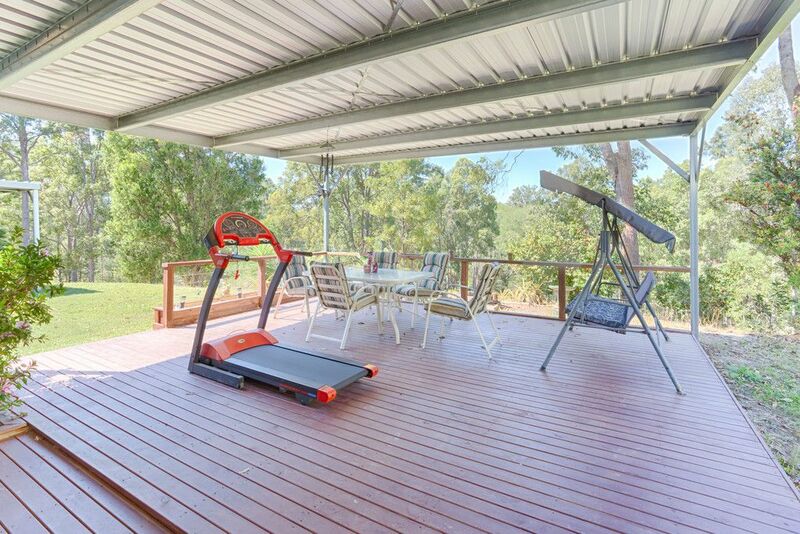 Call Brian at Countryside realty on 0423 475 914 to inspect.